Easter is such a happy time, isn’t it? 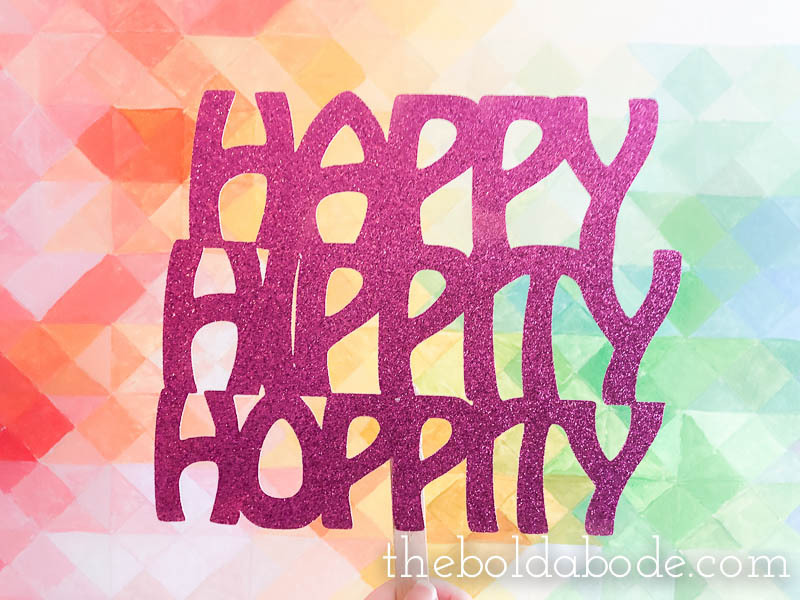 Regardless of your religious leanings, hoppy bunnies and Easter eggs are make for a happy day! I happen to celebrate Easter for religious reasons, but love to see the grins on my boys faces when they get their Easter baskets and chocolate bunnies. Easter is also a beautiful time for family photos! 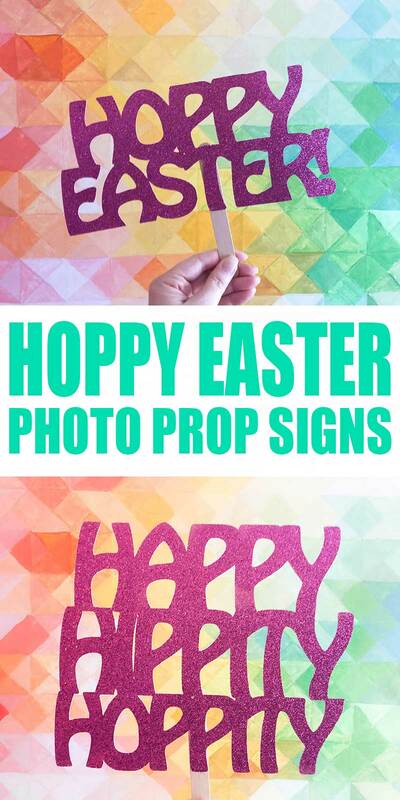 And to make them more fun this year, just make these fun Hoppy Easter Photo Prop Signs. 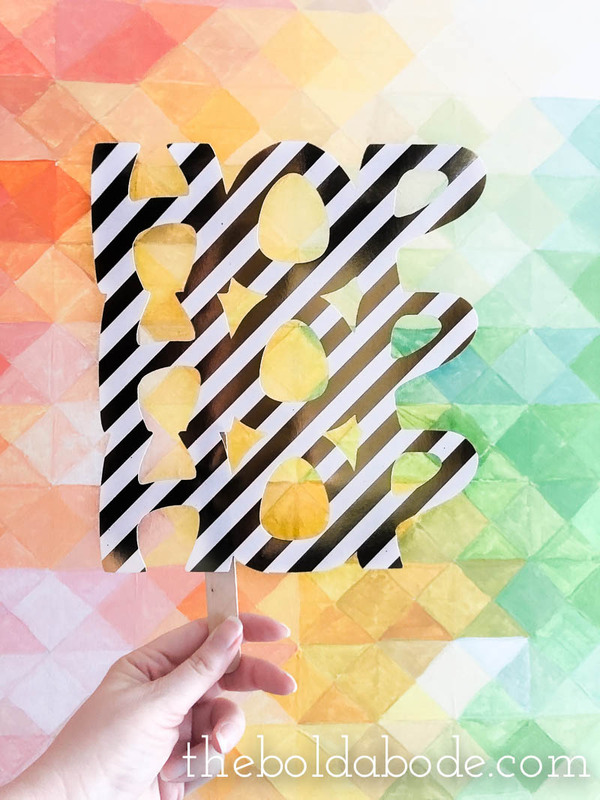 First, cut out your signs using your scissors or Cricut machine. 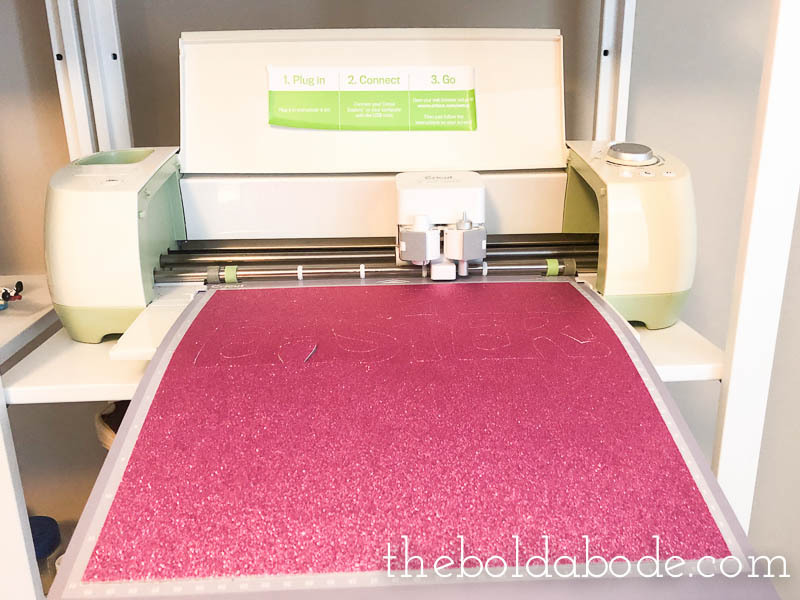 I lurve my Cricut! 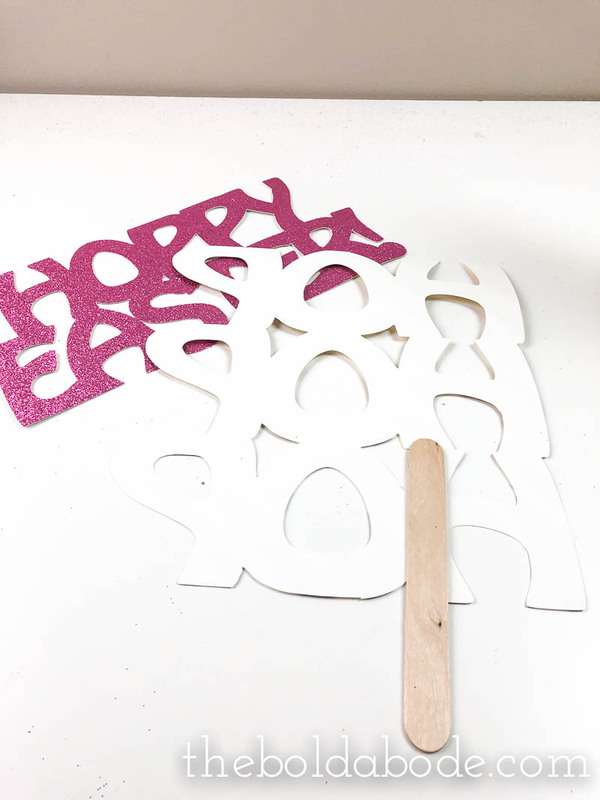 It makes cutting these cute Easter props so easy! You can get an awesomely priced bundle that includes a cutting mat and tools right here from Amazon. Next, glue a large craft popsicle stick on the back. You can see my awesome cordless glue gun in this photo. It’s changed my crafting life, yo. 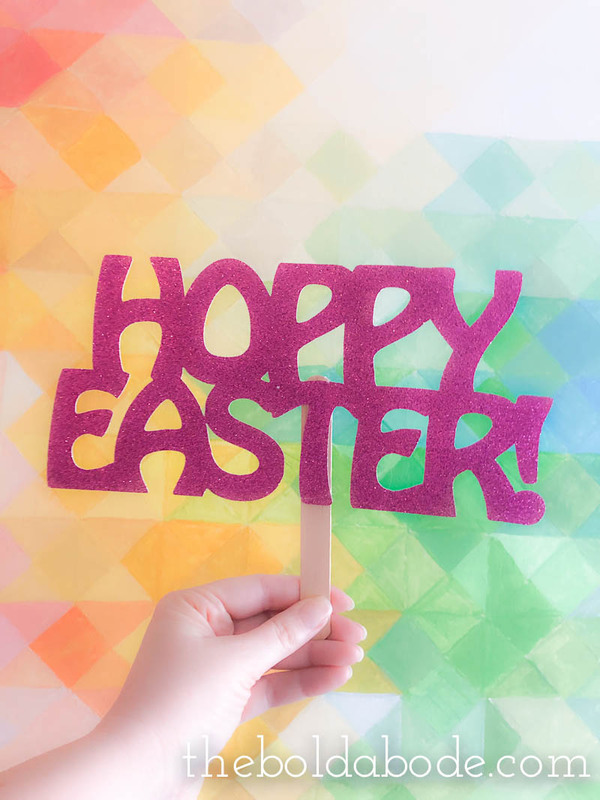 And finally, take alllll the super cute photos using your Easter signs! I’ll leave you with a selfie that I tried really hard to take by myself… haha. 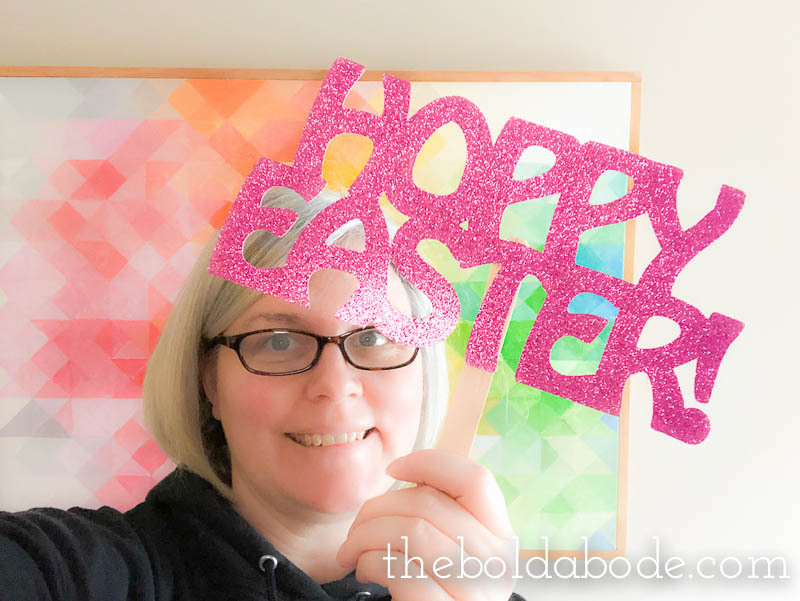 I hope you have a lot of fun making these Easter Photo Prop Signs! 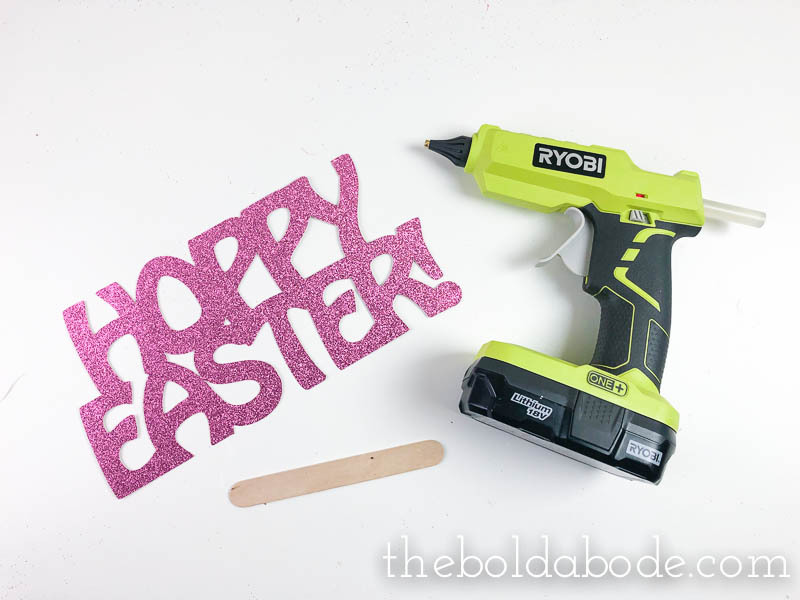 Maybe you’ll even get super creative a make your own Easter Photo Booth! P.S. Tell me what you think of these signs over on this FB post!